This design-build project provides unique and functional solutions in support of the overall mission for the primary Facility. 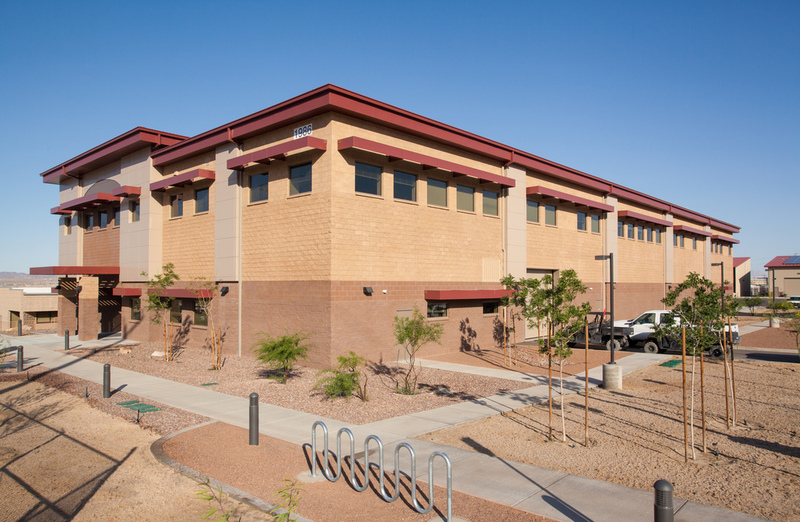 The project provides continuous critical essential services as the primary telecommunication distribution and network monitoring hub for the Marine Corps Base. Designed with integrated, flexible, environmental and technological infrastructure, the core educational services are supported by controlled and restricted access areas meeting Base and Department of Defense protocols. The first floor program includes services related to reception and customer functions, a classroom, User services and common employee facilities, primary Station Communications room facilities, shipping and receiving, warehouse, storage, equipment repair and maintenance, and workshop areas. 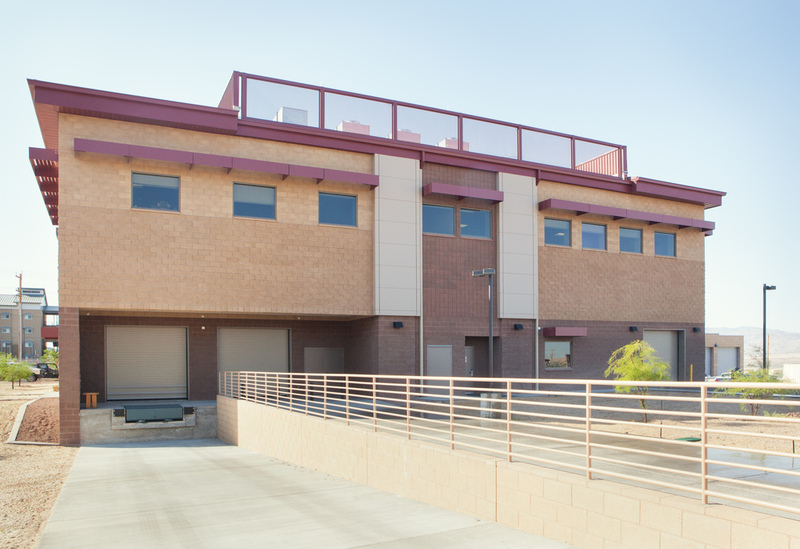 The second floor layout contains all the remaining programmatic administrative areas including conference rooms, emergency operations center functions, training rooms, break room and kitchen, common restroom facilities, private offices, and several open office workstation clusters for the various User divisions. Circulation includes two primary interior building stairs that connect the first and second floors as well as a service freight/ADA elevator. A third interior stair connects the first floor data center/station communications room directly with the communications vault below. In addition, Command, administrative and equipment support spaces are provided to maintain and augment staff and student educational curriculums. Primary spaces include conference and classrooms with video‐teleconferencing capabilities, special lighting/dimming controls, operable partitions, acoustical finishes (ceiling and wall panels), computer and LAN feeds, distributed power/data feeds, flexible and stackable table and chair furnishings, smartboards, digital projectors, widescreen monitors and window treatment controls. Lecterns are provided with audio, lighting and data control functions. Additional building support spaces include ADA accessible restrooms, break room and dedicated storage spaces for educational curriculum materials.